Win Two Tickets to The Wizard of Oz and Dinner at Limoncello! Fig West Chester is offering a giveaway to one of the hottest shows in town, The Wonderful Wizard of Oz presented by The Brandywine Ballet and also a $50 gift certificate to Limoncello! The Wonderful Wizard of Oz is a timeless story for all ages about the power of friendship, self-confidence and family. If you simply wish to purchase tickets online, instead of trying to win them, you can do so by clicking here. 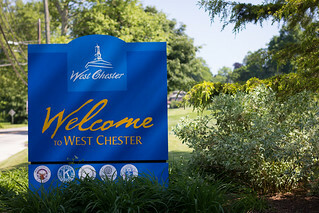 However, to enter the contest is easy, head over to http://www.figwestchester.com and simply leave a comment on this article telling why West Chester is ‘No place like home.’ Submissions will be accepted until 9 am on Friday, April 19. So hurry up and get those submissions in because time is running out! Also if you haven’t checked out Fig West Chester’s newest issue I would highly recommend it!